The following information reviews the requirements necessary for a Private Investigator license issued by Private Protective Services. In addition, license applicants are responsible for complying with relevant North Carolina law, Private Protective Services N.C.G.S. 74-C, and the Board's Administrative Rules and Regulations under Private Protective Services 14B NCAC 16. 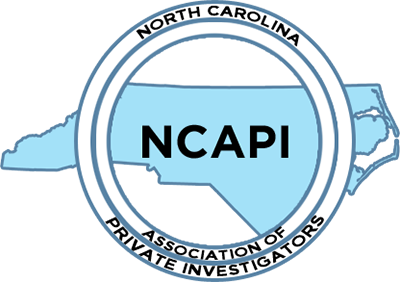 In order to qualify for a PI license, you must have three years of experience in private investigative work (equivalent of 3,000 hours), or three years in an investigative capacity as a member of a law enforcement agency or other governmental agency. [See G.S. 74C-3(a) (8), 74C-8, 74C-9, 74C-10, 14B NCAC 16 .0401]. Otherwise, you may apply for an associate PI license and work under the supervision of a sponsor (another full licensee). If after reviewing the above requirements, you determine that you qualify for a license, review the application checklist for a list of items required in order to apply. Once all documents are acquired (and in digital format for uploading) please go to: https://ppsapplication.permitium.com/ppsb/start to begin the application process. All current PPS licensees must contact the online vendor Permitium to request a LOGIN / PASSWORD in order to access your individual dashboard in order to renew / change company. Each individual licensee must email [email protected] and provide your company’s name, Business Permit Number(s) (BPNs), the Qualifying Agent’s name, and a telephone number where you can be reached. You will receive a welcome email from Permitium. This email will contain the application URL, along with your username and password to access your dashboard. NOTE (as of 7.23.2018): At the present time this process can take 2 to 4 weeks due to the volume of requests. Please do not delay; we no longer mail paper applications.